Nintendo’s New Super Mario Bros. U will be supported with future DLC in the form of Super Luigi U but the original game will be patched upon release. It will include a couple new features, particularly one for alternate controllers. On a Miiverse post in Japan, the details revealed that the patch will include Wii U Pro controller support for the game, in case you’re not a fan of the GamePad or Wii Remote. It’ll also have an option to purchase the DLC from the game itself rather than the e-Shop. There’s been no word if this patch will be coming to the US currently. Nintendo hasn’t commented yet but can’t imagine why this couldn’t come to the west. 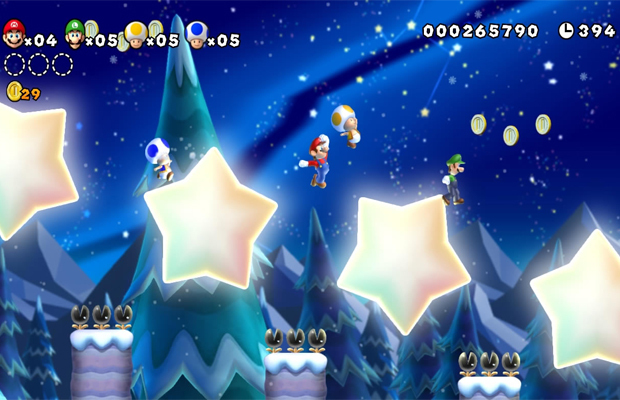 New Super Mario Bros. U was one of the launch titles for the Wii U and Super Luigi U is expected this June 20 digitally and August 28 at retail.